I’m not sure what prompted the shift. It could be the haircut. It could be that I’m getting older. But, my taste in jewelry underwent a drastic shift in the last year. I favor minimal jewelry these days, y’all. Additionally, if I’m going to wear dainty pieces, I prefer that they’re real gold. 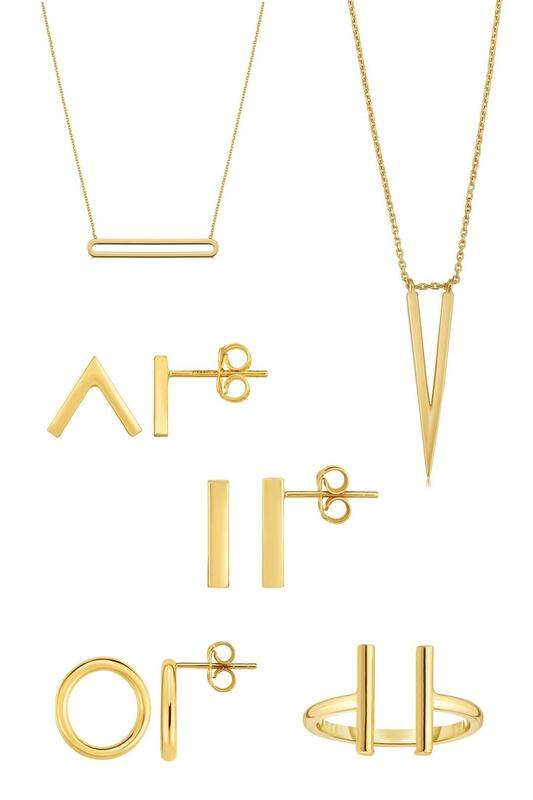 Yes, the price of gold might still be steep, but the gold mine I’ve found has lots of affordable fine jewelry. Today, I’m sharing that source and some favorite items. I already own the chevron stud earrings (see them worn here and here). Just over $100 for studs I can wear forever? I’ll take ’em. All of the featured items are around $100 (many marked down from around $300).